It’s hard to imagine anything more appealing than a sparkling, white smile. Yet our teeth rarely stay as white as we’d like them to without a little help. Fortunately, that help is available at the dental office. 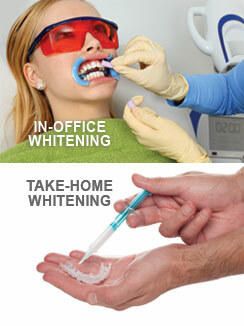 Teeth whitening done in a professional dental setting is a safe, effective way to brighten your smile. It’s also perhaps the most economical cosmetic dental procedure. Depending on the whitening method you choose, results can be dramatic: in-office whitening, for example, can lighten teeth three to eight shades in a single hour. Fear Of Going To The Dentist? 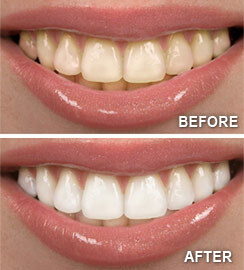 ClearCorrect invisible braces are the clear & simple way to straighten your teeth! Our Mission is to guide our patients along a path of optimal health and wellness, for life. To non-judgementally deliver the highest possible level of care, with empathy and understanding. To continually pursue excellence through continuing education, personal and team growth and mastery of leading edge technology. To treat our patients as individuals. To deliver this care with first-class, five-star service. To respect our patients’ time. To accept our patients as partners in their wellness. Copyright © 2018 Aiello Dental Associates. All rights reserved.